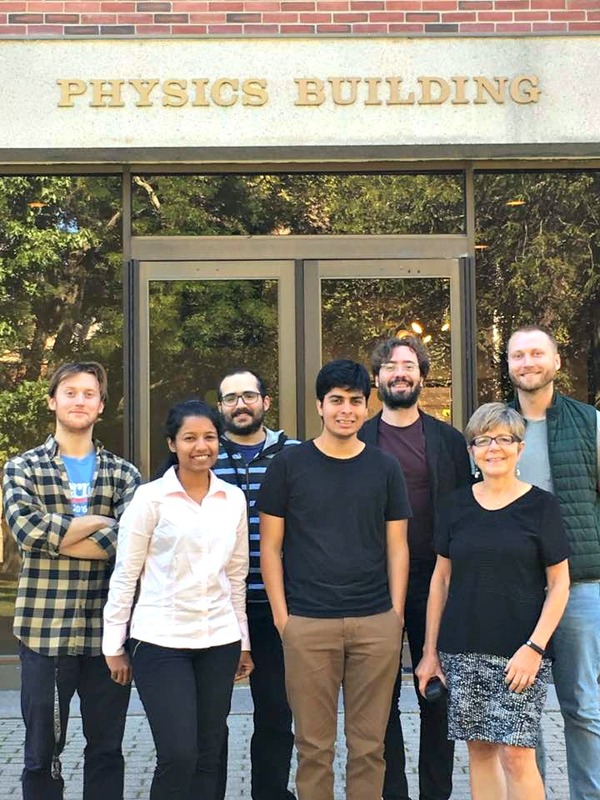 Our group is interested in the emergent behavior of soft and biological materials that are driven out of equilibrium by an external drive, internal activity or quenched disorder. We use theory and computation to investigate the rich dynamics of a broad range of systems, from vibrated granular matter to bacterial suspensions, the cell cytoskeleton and living tissues. Our work makes complementary use of bottom-up modeling and top-down phenomenology to highlight the role of physical interactions relative to genetically and biochemically- regulated signaling in controlling the large scale structural organization and the mechanical properties of these complex systems. Suraj Shankar gives an invited talk at the Workshop Geometry of Soft Matter at IIT, Natal, Brazil.